A bathroom scale and a chart, used every day, might make the difference in succeeding at a weight loss plan. The visual cues that come with plotting weight on a chart every day for a year may improve progress, according to a two-year study by researchers at Cornell University. The study, published in the Journal of Obesity, isolated daily weight tracking and charting, not tied to any particular weight loss regimen, to determine how it affects weight loss. "It used to be taught that you shouldn't weigh yourself daily, and this is just the reverse," David Levitsky, professor of nutrition and psychology at Cornell and the paper's senior author, said in a press release. He added that the act of following that progress "forces you to be aware of the connection between your eating and your weight." In the study, men seemed to benefit from the practice more than women. Two out of three adults in the United States are classified as overweight or obese, according to the National Institutes of Health. Obesity rates have been slightly increasing for the past five years. Researchers believe that any weight loss that can be maintained, even modest amounts like in this study, can help combat the typical weight re-gain of 40 percent in the first year after weight loss. Many dieters end up regaining everything they lost within five years. In this study, 162 participants were separated into two groups. A little more than half of the study participants were asked to weigh themselves every morning after waking and plot their weight on a chart -- called the "Caloric Titration Method" (CTM) -- to monitor the progression of their weight every day for a year. The remaining participants, the control group, were shown how to weigh and track but were not specifically asked to do so. Participants received information about proven weight loss methods, but each person choose their own path. "Because we didn't prescribe, everyone found their own way of losing the weight," whether they reduced portion size, stopped snacking or skipped a meal, Levitsky said. The target weight loss goal was 10 percent of the participant's starting body weight, but most did not meet the goal, averaging around 2.5 percent weight loss. "What's interesting is that they were able to get some weight loss, significant weight loss, by just giving them this very simple program." Dori Steinberg, Research Scholar at Duke University Global Health Institute told CBS News. Men lost more weight and maintained the loss more than women with this method. The psychology behind that trend is not yet understood. "There's something about women, in general, tend to place more value on the number on the scale and how it impacts them," said Steinberg, whose research focuses on obesity prevention and treatment through weight loss. "They see it as a sense of themselves. We've had to work with a lot of our participants to remove that value that the weight has, that affect their identity. So, to simply see the weight as a tool they can use to make changes in order to lose weight, just like any other tool." More research will help determine whether frequent tracking and charting would help a broader range of people. The participants in this study volunteered because they were already interested in weight loss, and they may have followed weight loss plans more effectively because they knew they were being monitored. This study was also limited, like much of the research on weight loss, because there wasn't much diversity in race, income or education level. But Steinberg says this isolated study could be a good foundation for weight loss and that adding even basic layers of counseling, like automated summaries and tips, could boost results higher. "If they did that throughout a year and that was automated, could that provide individuals with a little more skills and strategies that they could make to their diet and exercise habits to see weight loss?" she said. Using weight tracking apps or Internet tools could help make sure the tracking is accurate. "With the technologies that exist now, these people could just step on the scale and automatically send it to the app or to some person out there that would be tracking your weight in some graph." 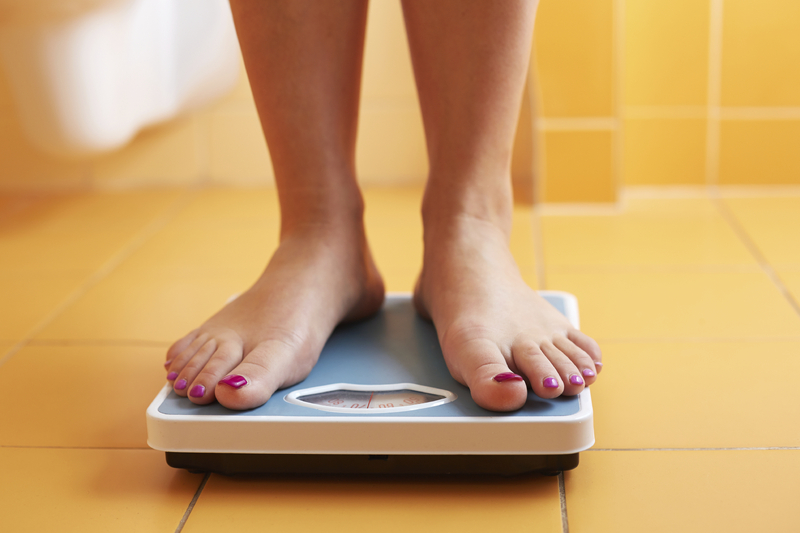 Even these small steps, on the scale, could bring people closer to their weight loss goals.